These are not your typical software engineering events. 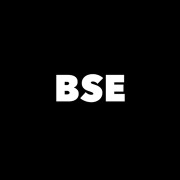 BSE is a community organization founded to inspire software developers by creating software focused events that bring together new ideas and emerging technologies. Events produced by BSE cover topics like Robotics, 3D Printing, Nanotechnology, Wearable Technology, Synthetic Biology, Artificial Intelligence, Arduino, Deep Learning, and Space Travel all with a software engineering focus and perspective. We often cover emerging technologies alongside current technologies and techniques. Coding ability is encouraged but not required to attend our events. We will begin to expand into areas of technology no local meetup groups have ever covered before. This is an exciting time for human civilization and for software. Join BSE, attend our events, and experience it for yourself.